The area is also famous throughout the world for its physical position. Geography might not be the first thing that many think of when it comes to towns and areas, but Greenwich has special significance. You may have heard of Greenwich Mean Time and the Greenwich Meridian, or seen GMT on clocks and watches across the globe, and that is because Greenwich is the point on the globe where the east meets the west so if you’re a student living in London at least you know that you’re always on time when you’re here! For a student living in Greenwich you’re situated in a key area of the capital, to the east of the city and on the southern side of the River Thames. While many claim that it’s best to live on the Northern side of the river you’re always well connected to the city from Greenwich, and many of our student rentals are close to the public transport networks that criss-cross the capital so you’re never more than a few minutes from key London venues, attractions and – of course – the Universities. What’s it like to be a student living in Greenwich? 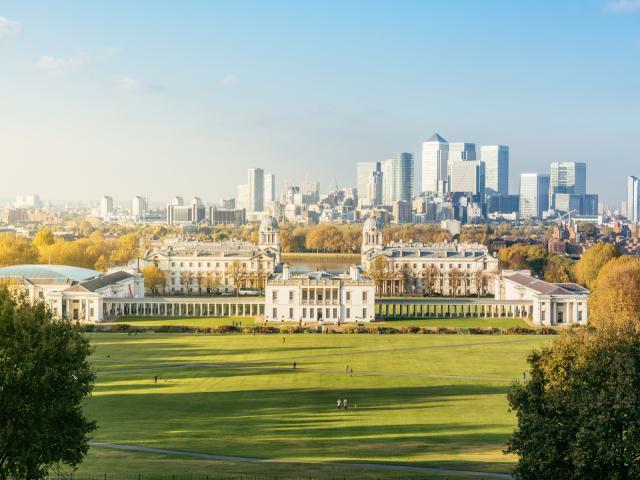 Just five miles away from the centre of London, but feeling more like 50 due to the relative peace and quiet, there’s a lot to like about living in or spending time in Greenwich. The whole area has been regenerated over the past decade, just like much of the neighbouring Docklands, Canary Wharf and Stratford in order to host the 2012 Olympics. Today the area is far more vibrant with a wealth of new developments and transport links to and from Greenwich making central London, the main attractions, the Universities and the student rentals much more accessible. As a student living in the Greenwich area one of the nearest major University campus is at Goldsmiths near to New Cross. The campus is accessible by Overground rail or you can take the Docklands Light Railway (DLR) from the North side of the river into Greenwich where it is a short walk from Deptford Bridge. All of the other major London Universities are within a short commute and are on the north side of the Thames, and close to many of our student rentals. Each of the student lettings in the CBRE Residential collection is finished to the highest of standards and range from one bedroom student flats to three bedroom properties and even penthouse apartments with spectacular, uninterrupted views across the city. Our student rentals come furnished and unfurnished meaning that you can move into your new life straight away or build your new home with a blank canvas. These fabulous properties in prime London locations include everything from en-suite bathrooms and large spacious living areas to balconies, roof terraces and private gardens ensuring that you can live the life of luxury. We have student properties all over London including beautifully finished new developments and recently refurbished properties with newly designed interiors. We’ve got some fantastic student rentals in Covent Garden, Soho, Bloomsbury and right across London; all within short walks or commuting distances of the Universities. Whether you’re looking to buy or rent a student property in London we can help to identify the most suitable properties for you according to your requirements and budget. We can then draw up a shortlist of properties and arrange either personal or Skype viewings of each property. That’s not all, as we can also help with the negotiations with the landlord or property owner and arrange your moving-in date and the collection of your keys. To find out more about how we can take the stress out of moving into your new student property in London, contact the CBRE Residential team today. The O2 Arena, formerly the Millennium Dome, is one of London’s major live entertainment venues. In addition to Wembley Arena, the O2 was converted into a live events venue in 2007 and seats up to 20,000 people. This indoor arena was built on the Southern bank of the Thames close to the Blackwall Tunnel on the site of a former British Gas works in time for the Millennium celebrations and was converted into its current guise seven years later. Today it is host to a variety of different events from sport to music and visitors can climb to the top should they wish with the help of a guide. For more high-end restaurants and luxurious bars, some of which are extremely exclusive, it’s worth taking the time to head into Canary Wharf where the bars have been designed around those living and working in the Docklands. London was voted as the third-best city in the world for students, and you’ll soon see why once you’ve spent some time socialising in Canary Wharf. Greenwich doesn’t have its own Underground station, and isn’t a part of the tube network, but the buses and DLR service are a more than adequate alternative with it only taking 22 minutes to travel between Bank in the City of London and Greenwich via the DLR. The DLR – Docklands Light Railway – was opened in 1987 and is a driverless, light rail service that was built to serve the regenerated Docklands area to relieve some of the strain on the expanding Underground. Buses run every 15 minutes throughout the day from the various bus stations around the city, many of which stop off close to and even at the University campuses. If you’re looking to travel to or from the City of London then it’ll take around 45-minutes in busy periods so give yourself plenty of time or take the DLR and tube to your destination. London City Airport is in the Docklands and is the perfect place to fly into if you’re studying at Goldsmiths or living in student rentals near Greenwich and the Docklands. The airport predominantly focuses on internal and short-haul flights but it does accept arrivals from New York and other major international cities on a less frequent basis. There is another way for you to get across the river of course. The Emirates Air Line is a cable car system that transports people over the river with spectacular views of London and takes you from North Greenwich to the Royal Docks in around 10 minutes. Shopping in Greenwich remains popular, especially around the two markets. People come from far and wide to browse the Greenwich Market and the Clocktower Market. In many ways the markets are similar to Covent Garden with their eclectic mix of stalls and offerings with everything from the latest and vintage fashion to antiques and homeware, and street food to handmade jewellery. Clocktower Market is only open at weekends and Bank Holidays with a wealth of unique stalls and offerings, while the Greenwich Market is a real foodie’s delight so if you like trying something new while you shop then get yourself down there. If you choose to leave Greenwich then on the opposite side of the river you’ll find the revitalised Docklands and Canary Wharf. Many of the world’s leading brands and designers have opened stores and boutiques in these areas to cater to the demands of the elite and professionals working in the area. If you like high-end stores and checking out the latest additions straight off the world’s leading catwalks then be sure to get yourself over to the Docklands where there are now five different shopping malls. Cutty Sark is one of London’s most iconic landmarks and is situated in a dry dock in Greenwich. A former clipper ship, the Cutty Sark was once the world’s fastest and was used to transport tea before steam power was introduced and today it has been raised three metres above the ground for visitors to marvel at the sheer size and build quality. You can get on board and stand at the ship’s wheel if you wish to gain an understanding of just what it would’ve been like to sail on this iconic ship. The Cutty Sark is now a part of the Royal Museums Greenwich, as is the National Maritime Museum. It is the largest museum of its kind in the world and features a range of exhibits documenting Britain’s maritime history and that of the Docklands and Greenwich areas specifically. The museum is in Greenwich Park and includes ten galleries and an interactive display explaining all about our maritime history. You can say that you’ve stood with one foot in each of the eastern and western hemispheres in Greenwich Park, where the Greenwich Observatory is a popular venue. Identified as the point of 0-degrees latitude, you can visit the Observatory and marvel at the astronomical exhibits. With health and fitness of growing importance for many young people, Greenwich has a range of different gyms and fitness centres that you can join on a monthly or annual basis. There are also a number of independent personal trainers who work with new clients on an hourly basis, including a number of sessions hosted in the outdoor space in Greenwich Park. In many of our student rentals you’ll find exclusive gyms and saunas that have been fitted out with the very latest fitness equipment. These gyms are available to all residents and are a key feature that many look for when it comes to student lettings near Greenwich. The Queen Elizabeth Hospital in Woolwich and the University Hospital in Lewisham are the closest hospitals to the Greenwich area if you’re in need or emergency medical assistance, or if you’re undertaking a medical course at University and thinking about where you can do your placements. The University Hospital in Lewisham is affiliated with King’s College London, providing students with placement opportunities so if you’re thinking of studying at King’s it may be worth considering student rentals in this area of London to make the commute as quick and easy as possible. To find out more about student living in London or to rent a student property near Greenwich, click here and speak to a member of the CBRE Residential team today. Looking for a rental property in Greenwich?